OK so this is a great place if you want 3 bedrooms and 2 on a sofa bed, so there is space. 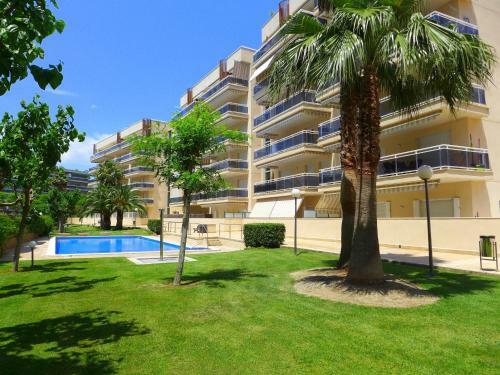 Its also very quiet away from the main noise of Salou and also you can walk to the beach in 12 mins and also all the parks of Salou in 10 mins. It was a great space and a large balcony. Good air con and in generally we liked the place. Belle cuisine, bien équipé, sol marbre, appartement bien agencé, belle terrasse, vue dégagée, facilité de stationnement, quartier calme et sûr. Situation géographique du logement. Grand appartement, Adapté pour 5 . 2 sdb . One of our best sellers in Salou! 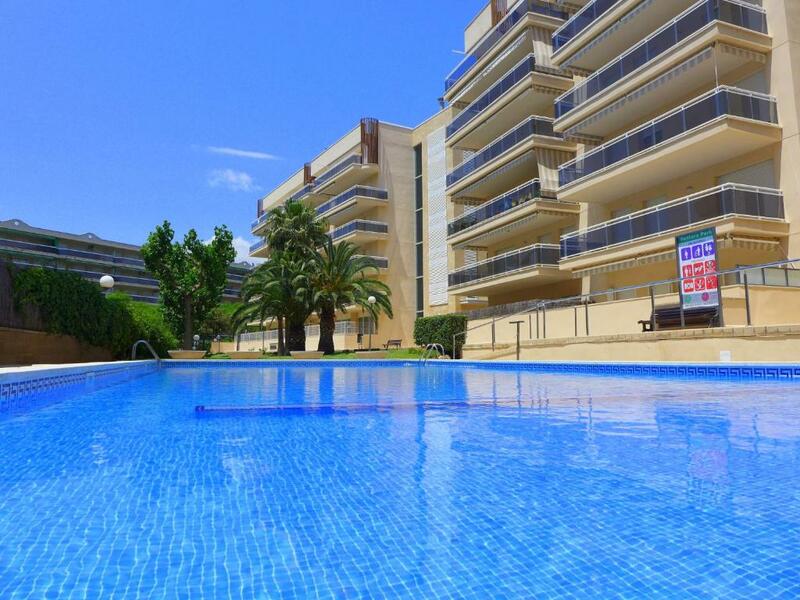 Located between Port Aventura and Playa de Salou Beach, Rentalmar Ventura Village offers an outdoor pool and spacious gardens. 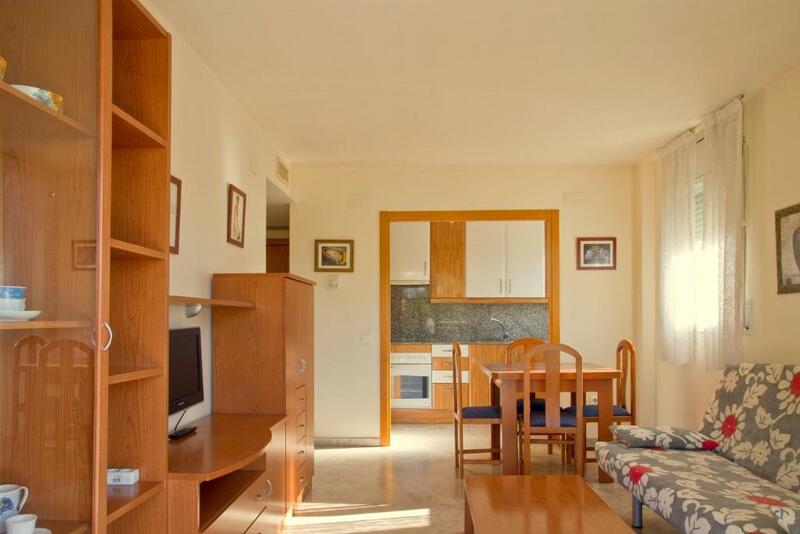 The property is 0.6 mi from Port Aventura Theme Park. 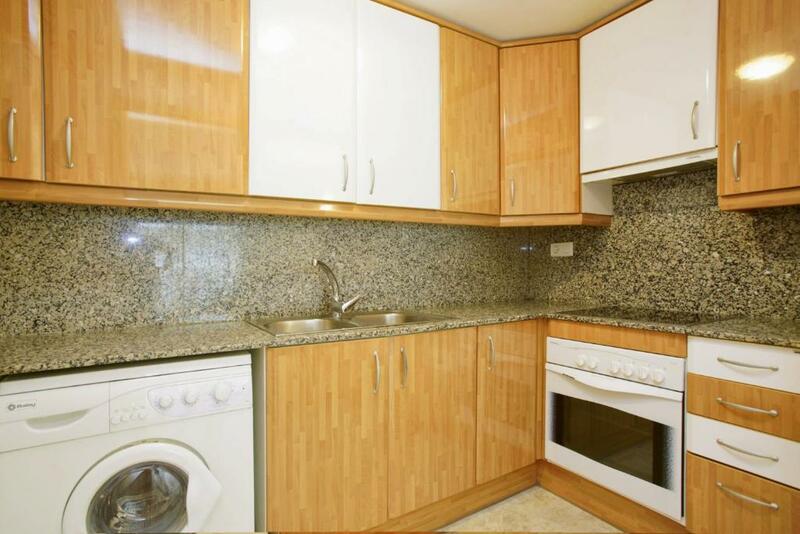 The modern, air-conditioned apartments include a TV and washing machine. The bathroom has a bath. Bed linen is provided. At Rentalmar Ventura Village you will find a garden. 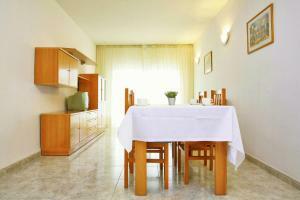 The property is located in a quiet community area and there is a supermarket nearby. If you feel like visiting the surroundings, check out Cala de la Font (2,650 feet). El Prat Airport is located 51 mi from the property. 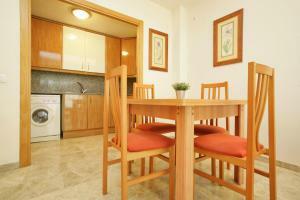 When would you like to stay at Rentalmar Ventura Village? 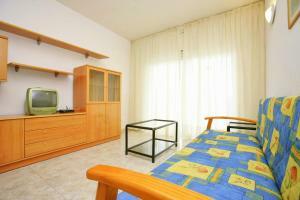 This modern, air-conditioned apartment is located between Port Aventura and Playa de Salou Beach. A TV and washing machine are included. 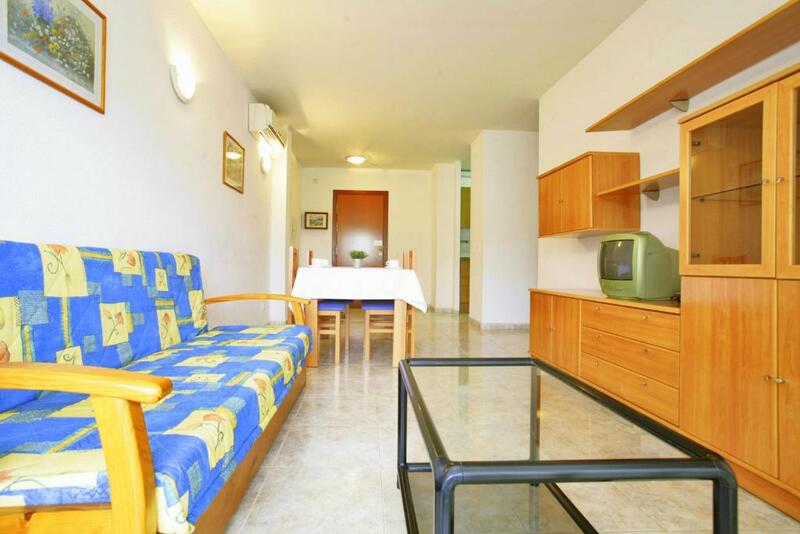 This apartment has a sofa, stovetop and washing machine. The Ventura Village apartments are high standard apartments located in a quiet area of Salou, very close to Port Aventura and Ferrari Land. 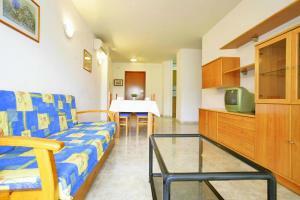 The apartments are spacious and have air conditioning and LCD TV. They have a fantastic garden area with a nice pool. The perfect choice for a great family holiday! It is not allowed to make parties in the apartment. House Rules Rentalmar Ventura Village takes special requests – add in the next step! Rentalmar Ventura Village accepts these cards and reserves the right to temporarily hold an amount prior to arrival. Towels are not provided and guests should bring their own. The reception is open from 09:30 to 13:30, and 16:00 to 20:00. During the high season, the office is open 24 hours. The fact that I booked a specific location as we are a group of 5 with 2 being disabled, they put us on the 6th floor approximately 1klm from the original booking. There were a lot of ants in both bathrooms! There are no sunbeds around the pool at all, you have to leave a 50 euro deposit in cash per person which is refunded if no issues - we had no issues. The address on the site is slightly wrong which needs correcting especially if you were in a taxi - we werent but thank god we werent. No light in bathroom 1, no flush in toilet 2, plug sockets not working in living room, very dirty floor when we went in room.... dirt, hair and cigarette ends on floor. No double bed as requested.